At JFAUK we are tirelessly working towards promoting judo not only as a platform for competition but as a tool for self-development and community enrichment. This work has been highlighted in the past through various charity and community initiatives, including international initiatives in Greece, in which we support the Kalithea programme which uses judo as a tool for personal development, aiming to assist the rehabilitation of individuals struggling with alcohol substance abuse. 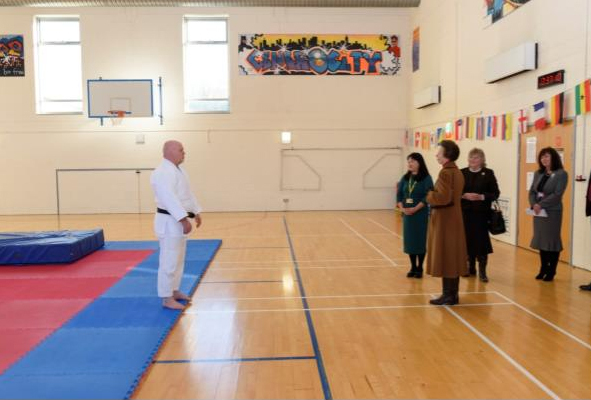 This ethos is strongly championed by JFAUK Officer Sgt Paul Squires, who has been using judo as a tool to aid those with mental illnesses and we would like to congratulate Paul and his department for recently being recognised by HRH The Princess Royal (Princess Anne) for his ongoing work in using Judo as a tool for Occupational Therapy. On the 1st December 2017, HRH The Princess Royal attended the Bracton Centre, a medium secure mental facility, to recognise the work of the Occupational Therapy Department. 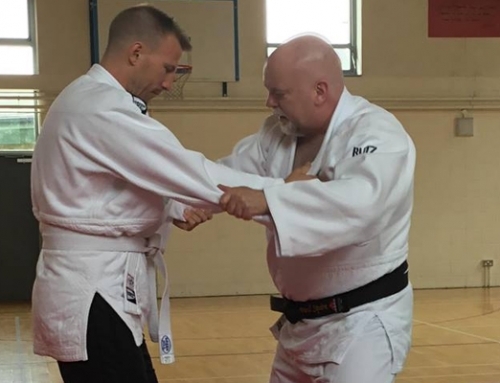 Paul uses Judo as part of the department, and the inclusion of judo to the programme is the first of its type in the country, teaching judo to service users (patients). Sgt Paul Squire from Kent Police had the opportunity to meet the Princess Royal and facilitated a demonstration by the service users for the Princess Royal.